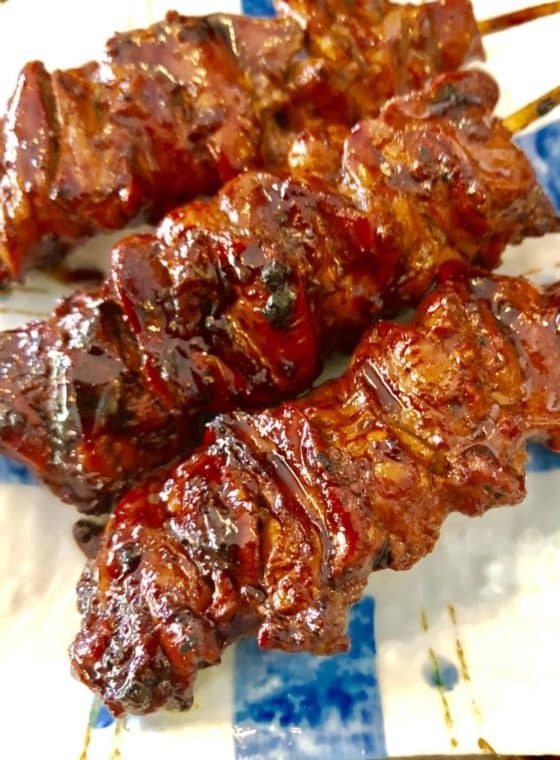 Mikawa, Siglap on East Coast Road | Is Life a Recipe? I see Michelin Stars being handed out for the likes of Din Tai Fung. But not for Mikawa Japanese Sake Bar & Restaurant, on East Coast Road. Why not here? This place sends out the most consistently good, quality food every time. It’s superior in quality and taste. It’s a must. 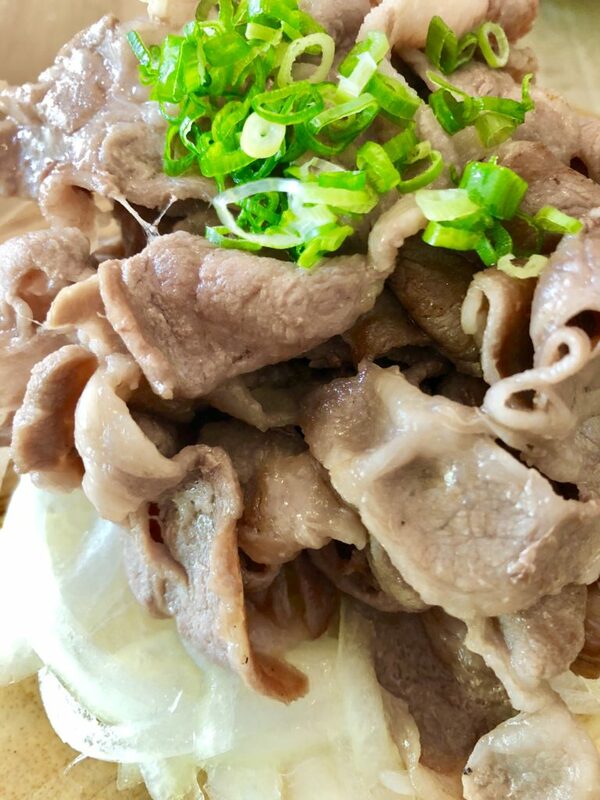 I have already blogged it before – see HERE – BUT the guys deserve a refreshed blog as we just had the best Vesak Day lunch ever – heres comes a well deserved refresh for Mikawa Japanese Sake Bar & Restaurant, on East Coast Road. My Mary, Amy, Jude, BeBe and I descend today to our mates! No longer Chicken Bum, it is now Chicken Skin restaurant – gospel according to Jude. 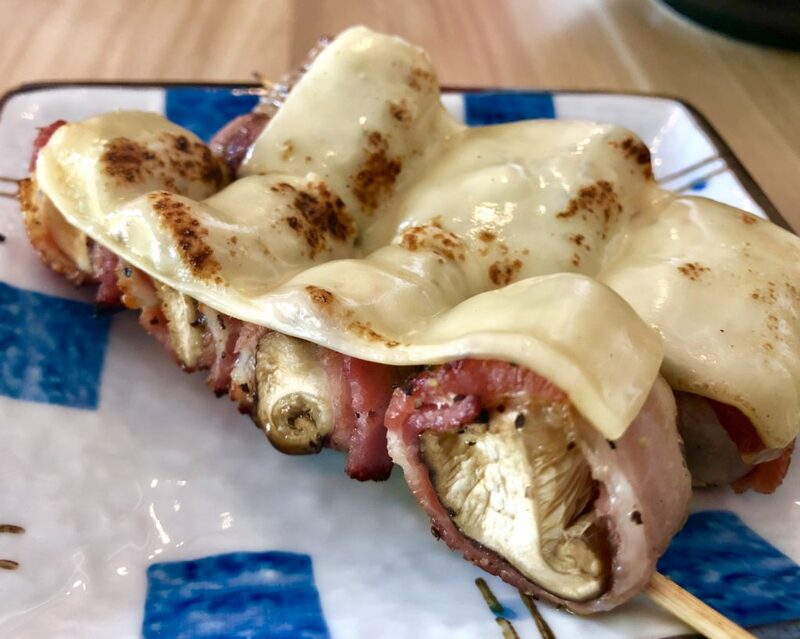 Shitake mushroom, wrapped in bacon and slathered in cheese skewers – hell yes, this is a beauty! New one for us, now a new favourite. 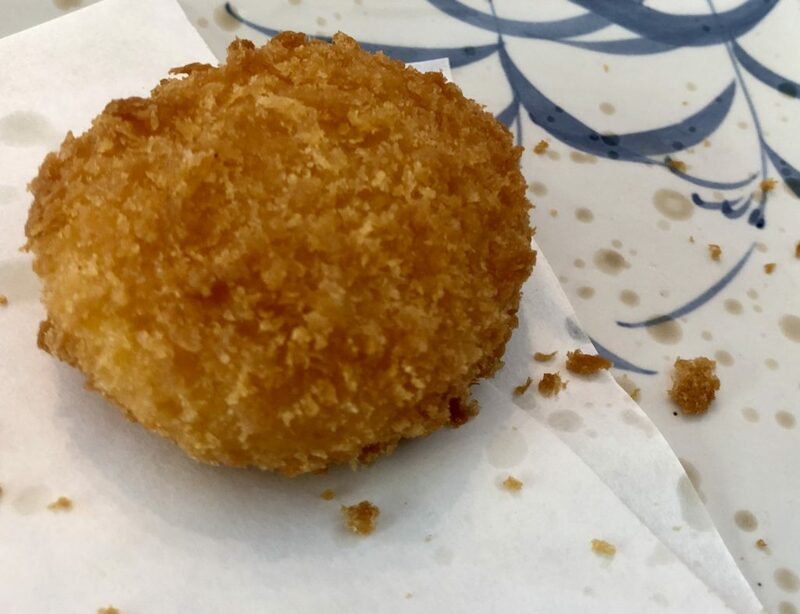 Creamy corn croquettes, oh yes. Tomorokoshi Kuream Croque. I’ll have that with a little Japanese version of Brown Sauce please. So damned good! Best salad ever. 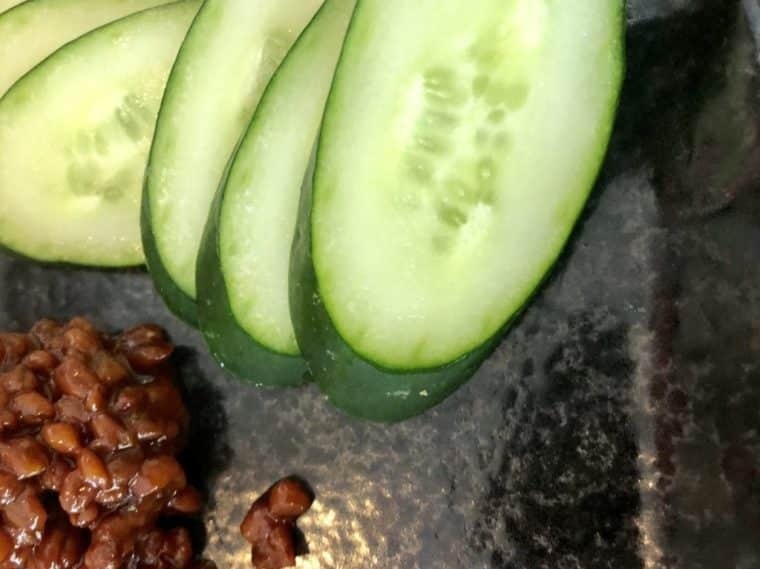 Crunchy, crispy and cold cucumber with fermented soy beans. Match made in heaven. Just sublime. 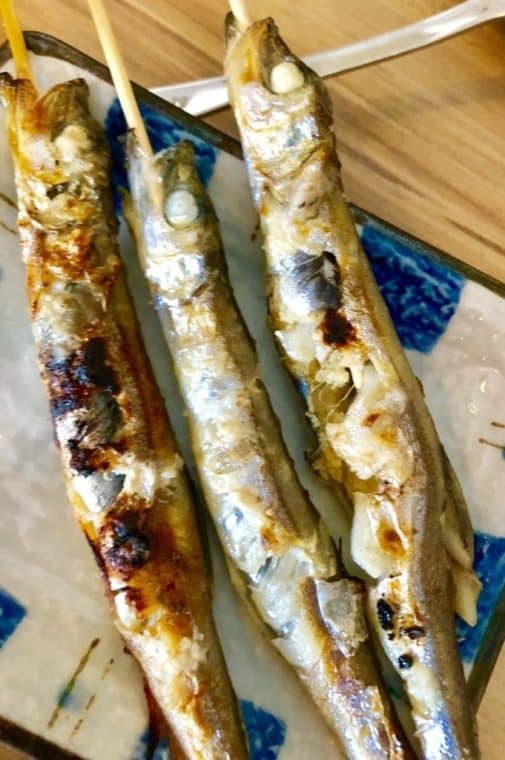 Mary’s Shishamo up next, or chargrilled whole willow fish by another name. Looks good, to me smells bad, to Mary tastes amazing! 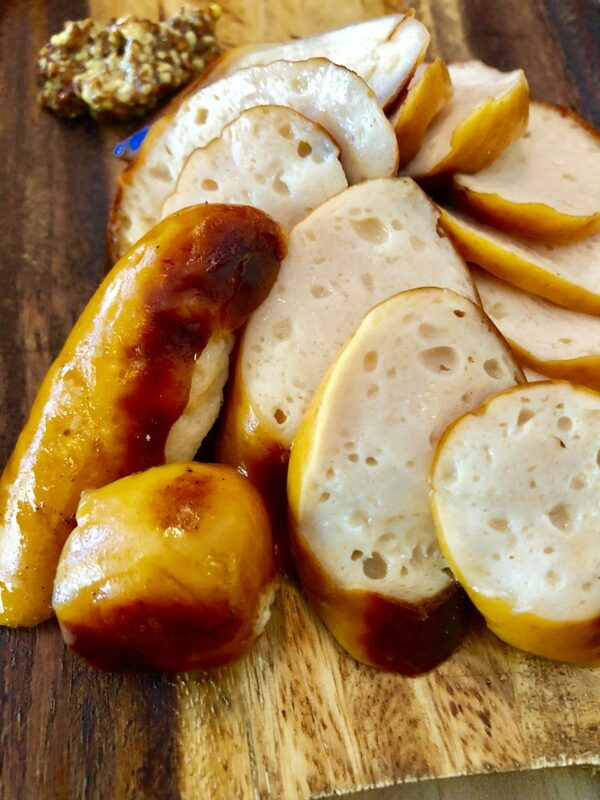 The very best chicken cheese sausages. Seriously superb. Crunchy skin and smoky interior. Really good with that little dollop of corse grain mustard too. Manganji Pepper on the specials – personally disappointed as I could not try this. 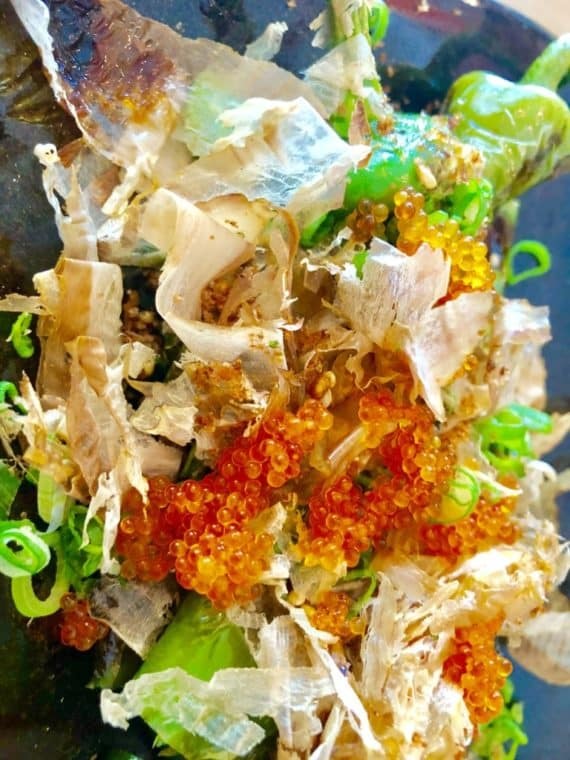 Fish roe and Bonito flakes all over it – mwah! BeBe got dug in to it though. Seemed to disappear down rather fast! Good sign! Reba or chicken liver skewers. BOOM. So scrummy. A little metallic hit with the sweet sauce, and a kick of charring, just superb! This is such a winner – the Iberico Pork with Truffle Sauce. OMG. This is a die die must try!!! 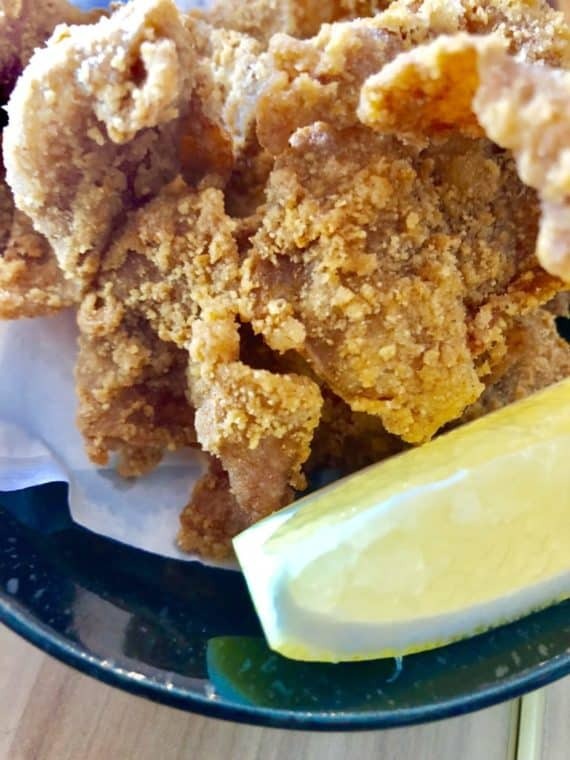 One of our absolute favourites is the deep fried chicken skin – seriously squirt a little of that lemon juice in it and hey presto you will be in heaven – we had 3 plates of Tori Kawa Age today. OMG!!! Grilled chicken with Yuzu dressing. 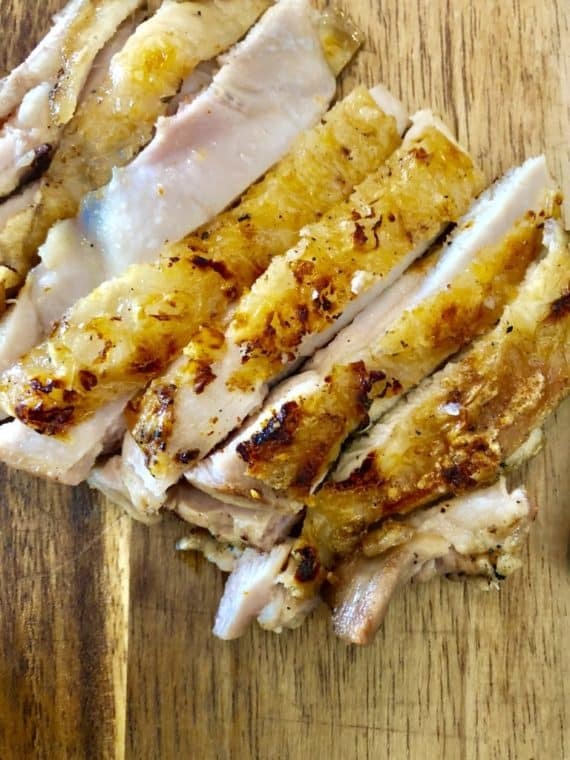 Can you beat grilled chicken skin with a zest sauce – I challenge you to! 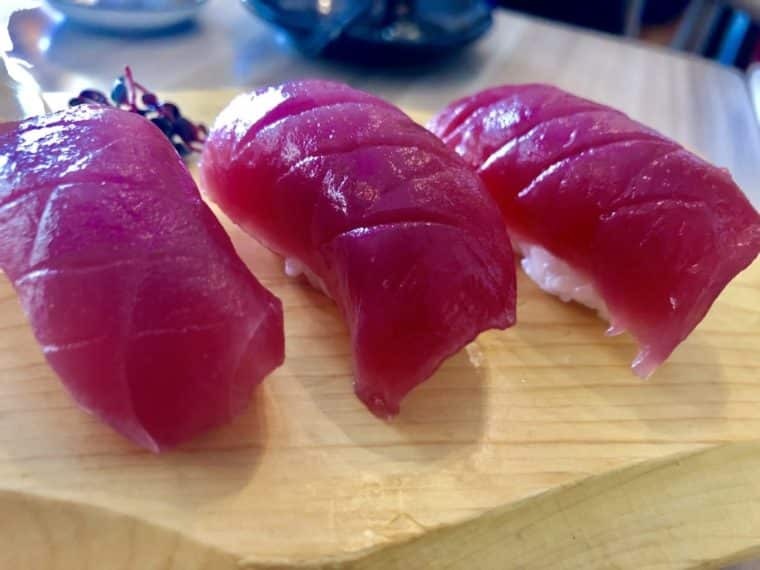 Check out that colour of the tuna Sashimi. 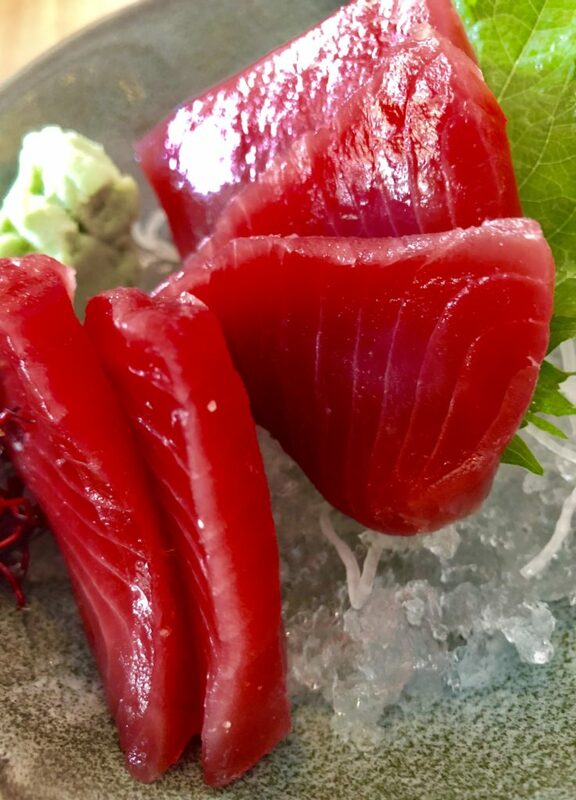 Akami sashimi – stunning! Of course a double up is needed – yep lets be having the sushi too please. Bring on the Akami Sushi. Stellar! Mikawa Japanese Sake Bar & Restaurant, on East Coast Road, is a place you should and must visit if you happen to be in East Coast. Get a booking in though. We were lucky to get in today. It is a sublime restaurant for lunch or dinner. Staff are superb too – so friendly and attentive. There is nothing left short, and the food, well the food is exceptional. It’s a must try in my reckoning – and I reckon family Kennett will endorse this blog too. It’s a cracking restaurant, you must and if you do I will guarantee on your behalf that you will – ENJOY!!! No Replies to "Mikawa, Siglap on East Coast Road"